Hospitality Defender, LLC - Why Does Yelp Recommend Reviews? Hospitality Defender, LLC - Why Does Yelp Recommend Reviews? Why Does Yelp Recommend Reviews? Originally posted on Yelp’s Official Blog here. Why does Yelp recommend reviews? Millions of people use Yelp everyday to find a great local business. Most probably don’t give a second thought to how the reviews they read tend to predict what their offline experience will be like. They just know it works. But some might wonder — how does it work? Well, Yelp made this cool video to explain it. For starters, imagine you were trying to find a great new restaurant in town way back before Yelp existed. You’d probably try to get as many word-of-mouth recommendations as possible. Then you’d sift through them, deciding how to value each one. You would probably place more weight on recommendations from people in the know who have tried every place in town, and from people whose tastes you share, than on recommendations from folks who rarely go out to eat, who seem like they might be too close to the owner to be unbiased, or who you’ve just met and don’t know much about. In a nutshell, that’s how Yelp works. Every day our automated software goes through the more than 47 million reviews that have been submitted to Yelp to select the most useful and reliable ones to help you find the business that’s right for you. Unlike many other sites, our stance is quality over quantity when it comes to reviews. As a result, we only recommend about three-quarters of the reviews we get. More often than not, these reviews come from active members of the Yelp community, and from those we’ve come to know and trust. Reviews that are not recommended can still be seen via a link on the bottom of each business’s profile page, but they don’t factor into the business’ overall star rating or review count. And what about those other reviews? Why would some not be recommended? In order to keep our content helpful and reliable, we try not to highlight reviews written by users we don’t know much about, or reviews that may be biased because they were solicited from family, friends, or favored customers. We also try to filter out reviews that may have been written or purchased by business owners to help themselves or hurt a competitor. And we try to avoid unhelpful rants and raves, as well. Our recommendation software is running constantly and making adjustments as it learns more information about reviews and reviewers. So, the reviews recommended for each business do change over time. It’s important to note that we treat advertisers and non-advertisers exactly the same: no one gets preferential treatment. You’ll find plenty of Yelp advertisers with negative reviews, and plenty of non-advertisers with stellar ratings. 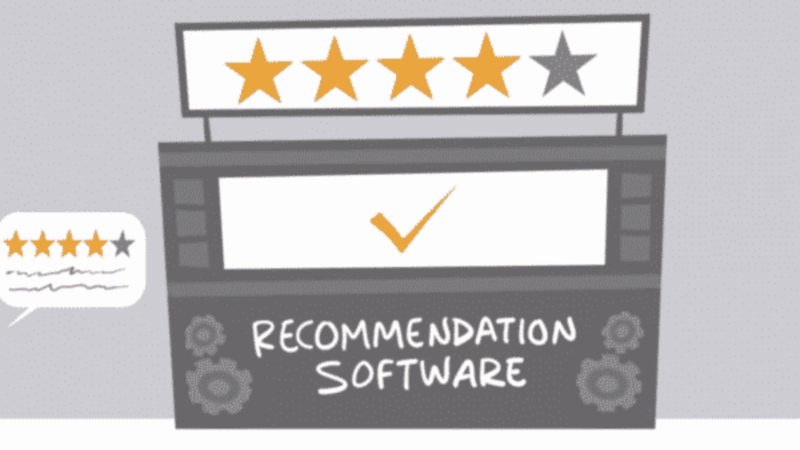 The recommendation software is entirely automated so that it can apply the same objective standards to every business and every review without being overridden by someone’s personal preferences. Yelp’s approach of recommending only the most useful and reliable reviews has served consumers pretty well to this point, since over 100 million of them visit our site each month. So, for those people who occasionally wonder just how Yelp seems to give them the info they need, we’ve put a reminder at the top of each business listing that the reviews displayed are the ones we recommend, the ones that make Yelp your trusted local companion.